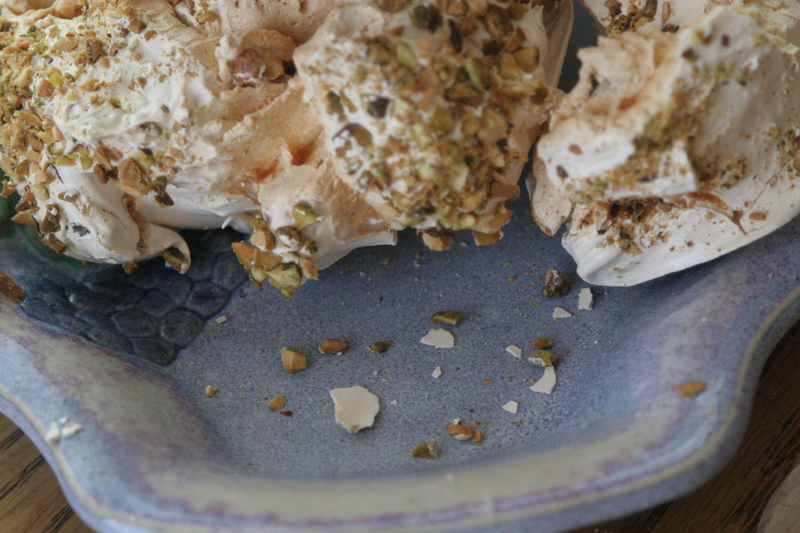 I realized that I compulsively entered the kitchen twice fumbling around for another bite, or just crumbs even of my rosewater pistachio meringues. No luck. Someone finished them. It was my kids…..my husband……er, me. I have now reached the desperate and frantic, “There-are-no-cookies-in-the-house” stage, which is a dangerous place to be. There is usually at least one container of some sort of frozen or refrigerated homemade dough for these panic-stricken, frenzied moments. I guess, you know what I will be making again soon. I really love cookies with egg-whites. To be categorical about it, I guess I love meringues, but I must include macarons too, which are not really true meringues. Every Christmas, my Sicilian great-grandmother made meringue cookies that she called Mistletoe Kisses with little chocolate chips and corn flakes. 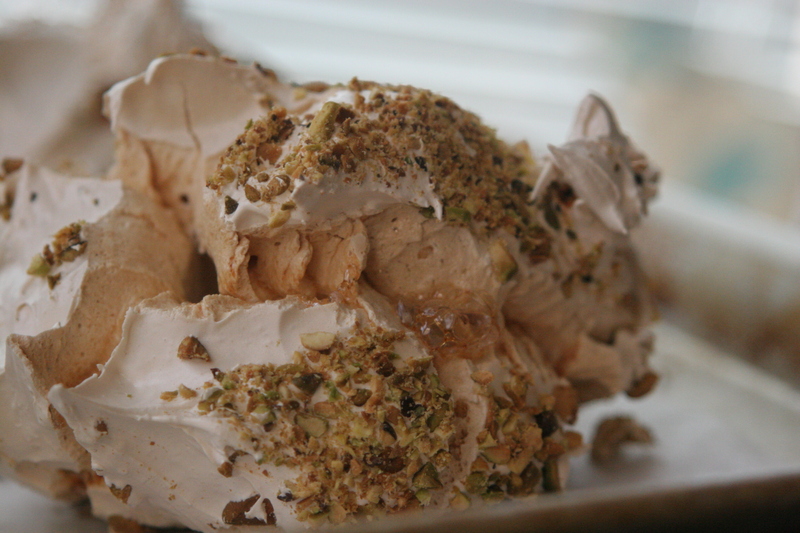 I still make them every year (even outside of the holidays), but I have changed them quite a bit based on my experience making many other types of meringues. The most basic meringue cookie consists only of sugar and egg whites, but how one combines those ingredients varies a lot. You can make a sugar syrup and pour it onto the whisking egg whites (Italian). You can heat the egg whites with the sugar until it is hot to the touch and then whisk it (Swiss). You can just whisk egg whites and add a pinch of salt and/or cream of tartar and/or cornstarch. Or you can try my new favorite way. You heat up the sugar on a parchment covered cookie tray and then dump it into your whisking egg whites. I have never had glossier batter. Furthermore, the textual difference between the shatteringly crunchy outside and marshmallowy soft interior was addictive (ahem, read above). As far as cookies go, these are actually pretty easy, especially since you make them gargantuan sized so do not have to spend much time shaping them. 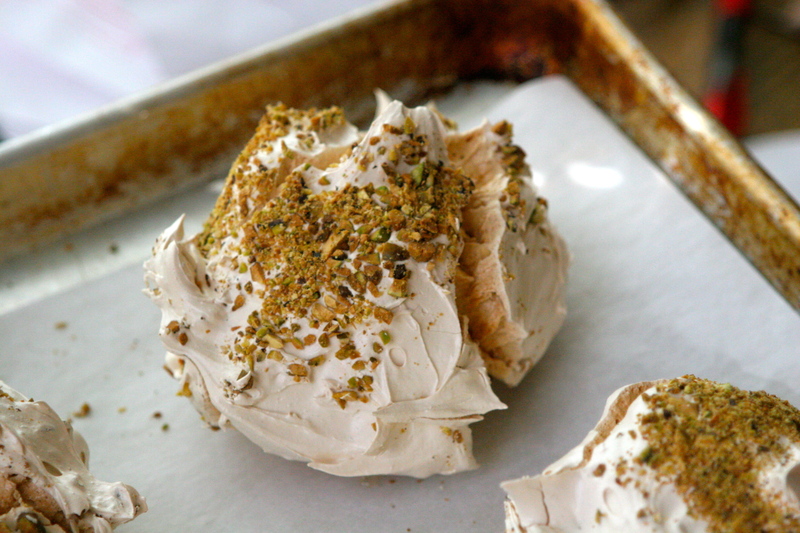 As a meringue cookie goes, they are actually pretty easy too since you can reuse the same pan you bake the sugar on (less dishes is always a good thing, right?). I have so many ideas for these meringues so I’ll share them with you since I know that some people aren’t into flower scents in their sweets. Make them my Nana’s style and fold in corn flakes and chocolate chunks. Chocolate and pistachio? Toasted almonds, rocher-style or hazelnuts and brown sugar. Mixed Meyer lemon, grapefruit, and lime zests. Matcha green tea with bits of popcorn folded in. Finally, one of my favorite desserts is meringues broken up into homemade vanilla ice cream with either fresh fruit or nuts. These would be great in that. (Or alternate bites with 85% dark chocolate. Mmmm). Let me know what you try, but whatever you do, make these soon! 3. With the mixer on medium speed, add the hot sugar carefully and slowly, then the rosewater. Turn to high-speed and mix for another 10 minutes or until cool. 4. Lower oven temperature to 225 F degrees and place finely chopped pistachio nuts on a plate. 5. 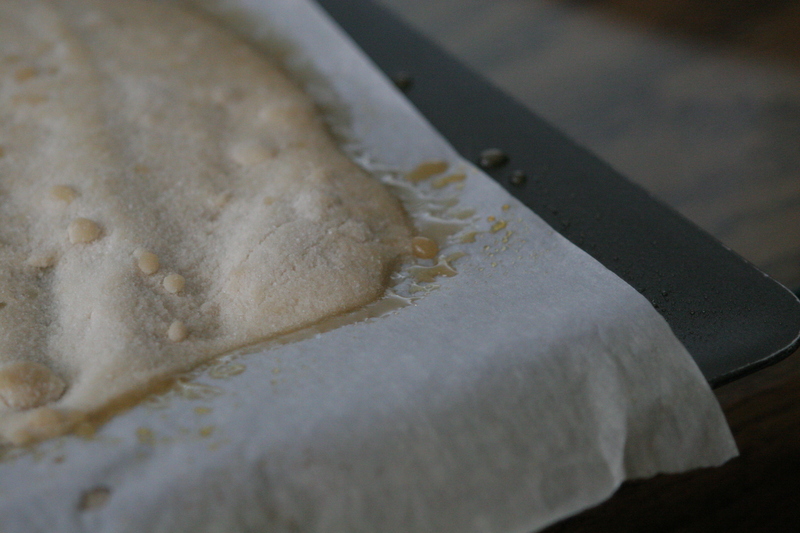 Line a baking sheet (the one you just used for the sugar is fine) with parchment and dab just a tiny bit of the meringue batter under each of the four corners to secure it. 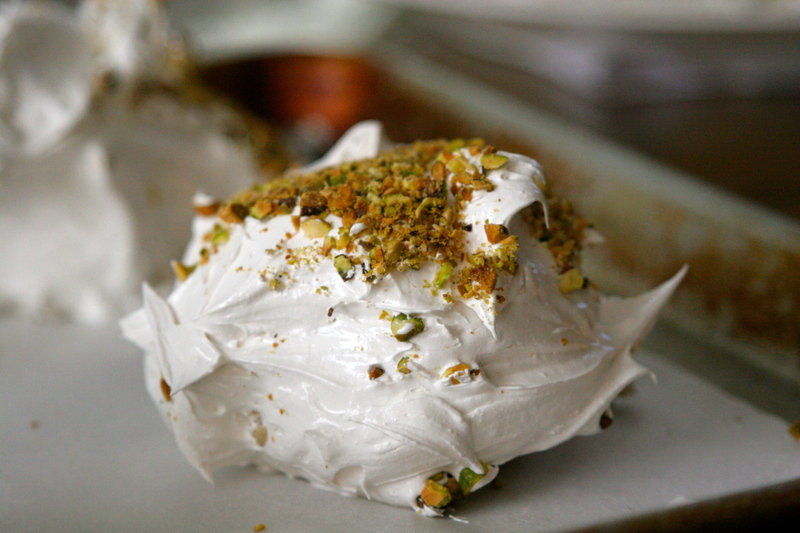 With two gargantuan kitchen spoons mold a grapefruit-sized dollop of meringue, roll it onto your plate of pistachio nuts, and place on the parchment. 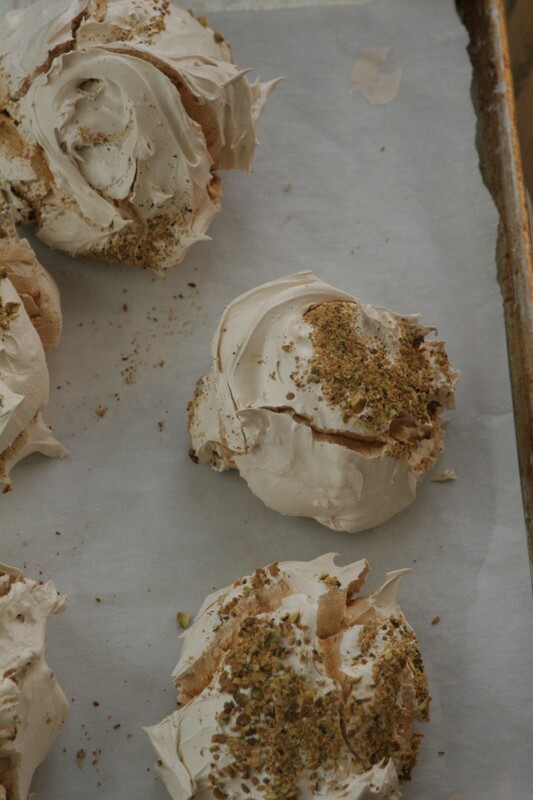 Repeat, making room between meringues since they will expand and crack a bit as they cook. They should each look different and very free-formed. 6. Cook in preheated oven (225F) for about 2 hours, turning the front to back every half hour. The outside should be utterly dry, while the inside marshmallow soft. Cool and eat. Cover leftovers in an airtight container or plastic bag. 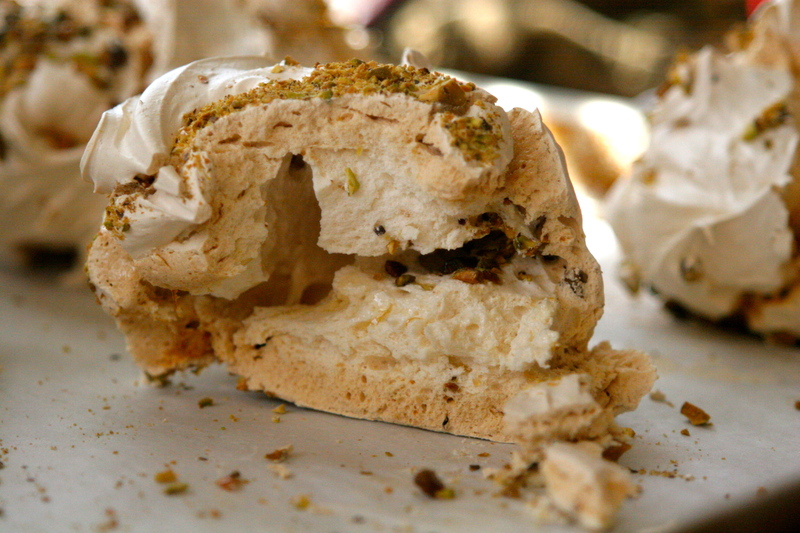 This entry was posted in Cookies, Nuts, Pistachios, Recipes for Egg Whites and tagged meringue recipe, rosewater pistachio cookie, rosewater pistachio meringues. Bookmark the permalink. I’m pretty much sold on any recipe that starts with beating egg whites (angel food cake, meringues, mousse!). While rosewater pistachio sounds divine, I love how there are infinite variations of the cookie.